Ride and Read! NEWS by Madness Photography - Onno "Berserk" Wieringa: National Motorcycle Museum News: The Museum is "On the Way"
National Motorcycle Museum News: The Museum is "On the Way"
The Museum is "On the Way"
As you ride or drive across our fine country, take a look at a map and see if the Museum can be worked into your travel plans. Located about half way between Interstate 80 and Interstate 90, 60 miles west of the Mississippi means adding just a few miles to your trip could let you look over the fine collection of over 400 motorcycles and thousands of pieces of memorabilia we have displayed for you and all motorcycle history enthusiasts. This past Labor Day weekend, Museum attendance hit a daily record of nearly 300 visitors. That was because travelers to the Harley-Davidson 110th Anniversary Celebration, the Chief Blackhawk Motorcycle Club Swap Meet, the Springfield Mile Dirt Track Nationals, maybe even the Threshers Meet or the annual Auburn Cord Museum celebration, stopped on the way to or from those events. 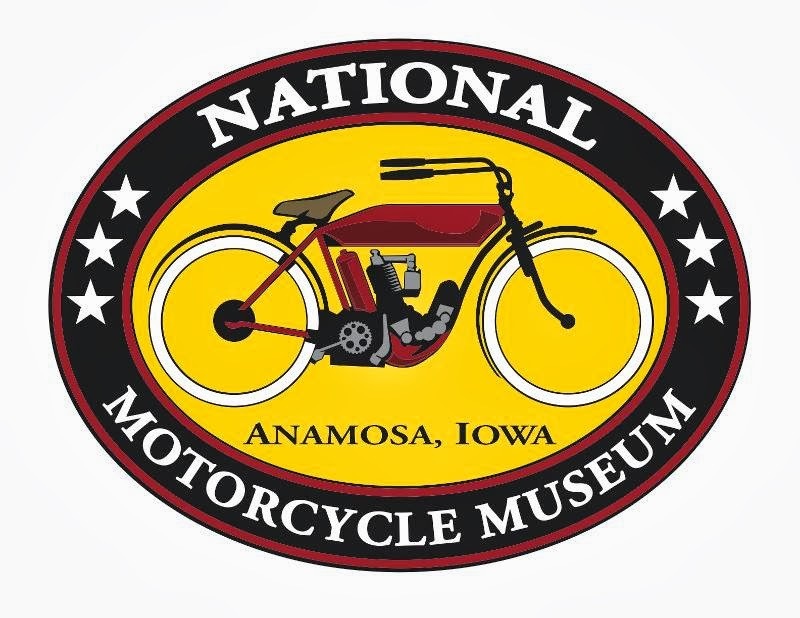 If to go to Plan A Visit on the Museum website, you can add a stop and visit the National Motorcycle Museum on your way to most anywhere.